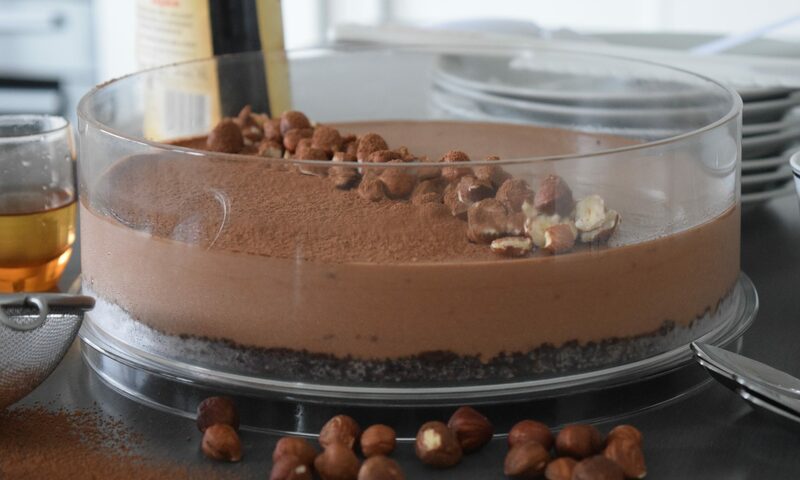 Chocolate Mousse cake for adults only with a dash of hazelnut liqueur or non for all of you to enjoy during the Easter celebrations with the family. 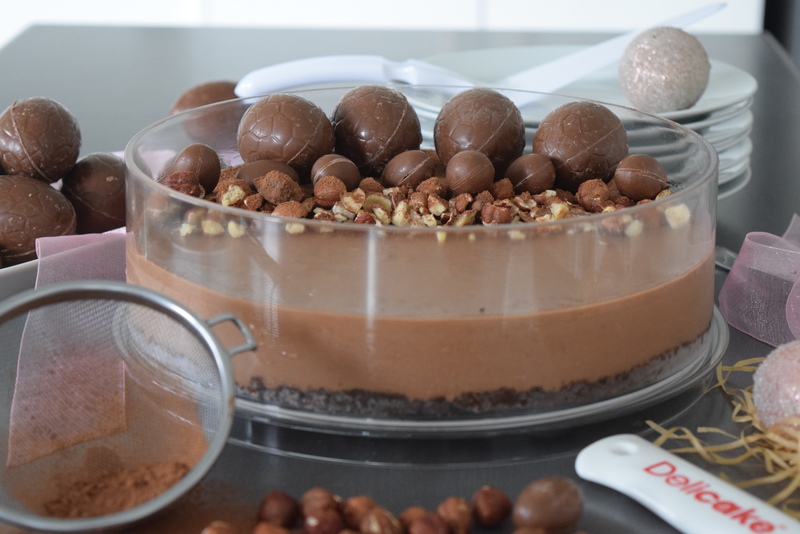 No bake and egg free has to be a delight for some of you and with only three main ingredients, it’s an easy dessert to create. Getting the kids involved with creating desserts using the Delicake Masters is safe, no oven is required and the melting the chocolate using a double boiler can be done by an adult. They will love mixing the chocolate and cream and decorating the set cake. Using the Delicake new bake ware for no baking is an added bonus when creating is as simple as preparing setting and serving using one kitchen tool. Assemble, Delicake base & sleeve. Crush biscuits in a processor & combine with 80 grams melted butter and add 50 mil liqueur in the assembled Delicake product. Mix well. Melt chocolate over a double boiler, blend cream in a bowl add 100mil liqueur till soft peaks. Allow the chocolate to cool and add the cream in three amounts combining slowly each time. Pour chocolate mixture over biscuit base and put lid on and refrigerate till set or overnight for best results/minimum of eight hours.. Remove the lid and decorate with hazelnuts or Easter eggs and dust half the top of the dessert. Remove sleeve upwards from the base. Cut & serve from the base. You can re-assemble sleeve and lid to store in the fridge. You can create this recipe using the same ingredients for the Square Master or double the wet ingredients for the Versatile Master and 375 grams biscuits and 120 grams butter, for the base.